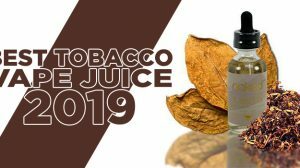 There are many topics I would like to touch base on in this year’s first update concerning GuideToVaping’s Best of 2017 event. Each year I learn how I can improve the event as a whole, which categories do better than others, which categories aren’t being used as they should, and which ones are simply causing too much fuss and confusion among the community. I also want to give information on how brands are getting votes, who’s doing the cheating, and what I’m doing to correct mistakes. Please read this post all the way through so you can better understand what’s going on. Again, thank you all for participating. This year we have used 15 categories for participants to vote on, while in the past we’ve used 20, 25 and upwards of 30 categories. Though I like offering many polls for you all to vote on each year, managing them all wouldn’t be realistic. Throughout the month of December, I have to battle the cheaters, trolls, and those who create duplicate entries and misspell words. On top of that, I have store owners and many others emailing me to change their name to this or that. I thought that many of you would want fewer polls so that you can get in and vote quickly. However, there are also many of you that are telling me you want more descriptive categories that will define what you excel best in. We can up the category amount to 20 next year if this is what you want. On the other hand, I can’t create categories specifically for one company, brand or blog just for you to shine brighter in the pool of your competitors. If you want recognition for what you do, go bigger, do better, and participate more. I will probably come out with a poll for you all to help decide the categories for 2018. There are some categories that are being misused for what they were created for. Maybe I’m not explaining it best enough for some of you to understand, and then again, maybe you or your fans/viewers/customers don’t care and just want to plaster your name anywhere possible. I am looking into ways to combat this and I think one way is to be a bit more descriptive, create additional categories, and remove others. There are two categories in particular that I am considering removing from the polls in the future, Best Vape Network and Best Advocacy Group. These categories have been around since 2011, but people aren’t voting on them the way they were intended. Please give feedback on this. Many of you are treating the Best Vape Forum category as if it’s a place for all forums, though it was intended for vape forums specifically. 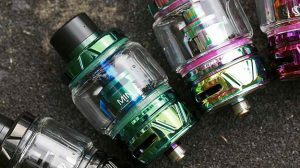 While forums do exist on Facebook and Reddit, the Best Vape Forum category was intended for those in the vaping community that created websites with a forum. To resolve this, next year I will add a Best Facebook Group category and Reddit Forums will reside there as well. The truth here is, anyone can create a Facebook group and gain members if they try — it’s fairly easy. However, building a website, installing a forum on it, building it out, managing it, and to gain members is something that I feel should grant recognition. This category is becoming more of a problem than it’s worth. Although I do enjoy seeing the many votes in this category, every store, YouTuber, blogger, and person believe they’ve established what we call in the vaping community a “vape network”. You have to understand here I’m a vaper from 2011 and what we considered vape networks were sites that were designated for vape shows/podcasts. 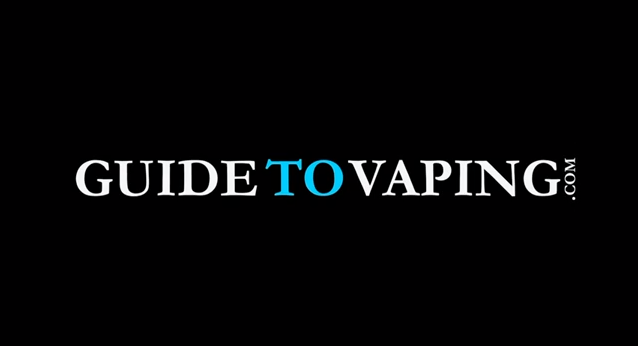 For instance, VapeTV I believe was one of the first to exist. 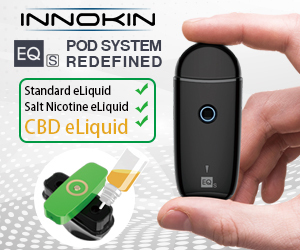 No matter how you define a network, be it you have a group or your store connects vapers on various platforms, this isn’t what the category was designed for. I may replace this category with something like “Best Online Show/Podcast” or something like that. Please give your feedback. You wouldn’t believe the number of emails I receive on a daily basis during this event asking how brands are receiving a lot of votes. I’ve seen some of you talking about it on forums, on Reddit, and other platforms. Let me be straight with you. I totally understand we have people slipping by and cheating (not as many as you think — I keep a close eye). You all believe that just because you haven’t heard of a brand or store, you think it’s impossible for them to get votes, you think they have no popularity, and you assume they’re cheating. After only a couple of years doing these events, I learned that the circle I’m in within the vaping community and the stores I know of or see is only a mere grain of what actually exists. Sure, a lot of these polls are based on popularity but do not complain about this or that brand not winning or receiving votes if you or that brand does not participate. As for receiving the votes, it all comes down to how loyal fans and customers are, how large of a following you have, and how popular you’ve become. For an example, I’ve received several emails and comments about VapeWild being at the top. Just because you do not like their brand or products doesn’t mean everyone else doesn’t. 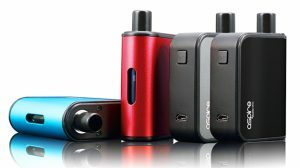 To give you some insight, VapeWild has a group that is 20K strong, their customer base is massive and their email list follows suit. 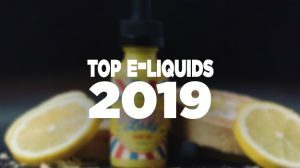 When they participate, when Vapor Authority participates, and other brands like Giant Vapes or Brad’s Vapor participates in the “Best of” event, they update their website encouraging customers and fans to vote for them, they send emails to their subscribers, and they share it throughout the social media platforms. If you want to change the way the polls look, you have to participate. It is only you, the voters, that can be the deciding factor on who and what wins. We have cheaters amongst us, this is nothing new. These guys that are doing the cheating are so far below their competitors that they’re doing anything and everything they can to keep their head above the water. When you’re drowning in an already saturated market you throw everything out of the window just to get ahead or become relevant. I would be a d**k and blast those that are cheating or attempting, but I don’t want to give them any additional exposure. This year, just like every year prior, we’ve had trolls. This year was pretty shocking though. We had a troll go out of his/her way and type the complete alphabet, we have seen a lot of racism, and sexual verbiage. What’s most shocking is that these people actually took the time out of their day to do this — something that’s absolutely pointless and has no benefit. Overlook it and let’s move on. Giving them attention fuels them. Your comments helping me fix misspelled words, duplicate entries etc, will all help straighten out the entries and voting. If you really want to help with this event, share it throughout social networks, let your friends know about it, and continue participating. This polling event happens every year and it will continue to be a ‘thing’ within the vaping community. It is the first and original “best of” awards for the vaping community and it has helped thousands of stores, brands, and people. Help me keep this train moving!